Anyway, this sudden obsession then very naturally transposed itself to the beauty department. This means watching many Korean makeup tutorials (Check out 'Get It Beauty' and 'Pony's Beauty Diary'!) and of course, skincare and makeup hauls (HEH.). One product which I really want to recommend is Skinc's Pure Snow White + Mask. Although the mask isn't from Korea (It's from her neighbour. So that counts too... Right? 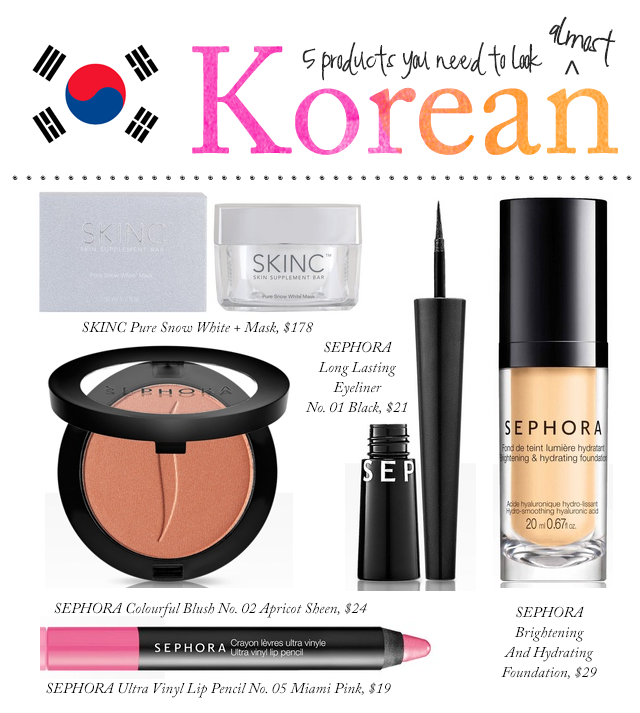 ), it works amazingly awesome to help you achieve the fair and flawless complexion that Koreans are known for. I'm almost done with my first tub, and I have a second one waiting for me in my drawer. As for makeup, the 'watery' and innocent look is in. Think: Flawless, dewy and healthy complexion, well-defined eyes and pink lips.